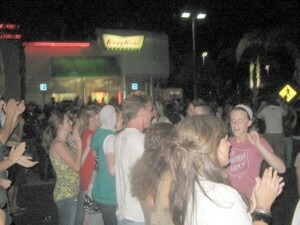 Sneakeasy's Joint: Camera Catches Krispy Kreme Crazed Christian Collegians Cavorting! 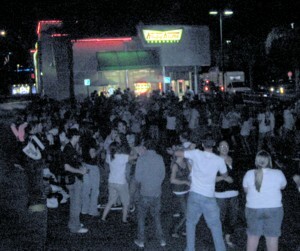 Yep, Krispy Kremes will do that to you! Confessing here I don't like the poofyness of the donuts, but I do like the freeness of the samples at the stores. LOL. Can we say SUGAR RUSSSSSSSH!